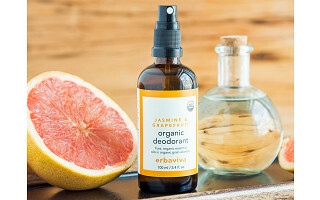 If you’re going green in your home, why not go the same route for body care—with an all-natural spray deodorant. 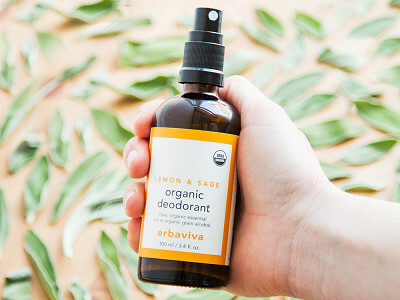 Erbaviva’s deodorant is certified organic and GMO-free, and speaks to their holistic approach to creating natural body care. It’s a naturally disinfecting, bacteria-fighting blend of organic grain alcohol and essential oils, like tea tree, sage, and lemon peel. The spray smells crisp and clean, while its odor-resisting effect leaves out the nasties that can be found in traditional deodorant, like aluminum. It’s also not an antiperspirant—which can block sweat glands. And it sprays on easily, which means no rubbing or applying with your hands, like with some other natural deodorants. 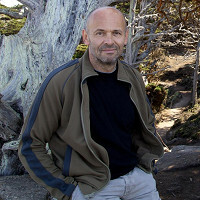 Erbaviva started 20 years ago with humble beginnings mixing natural products in a home kitchen. They are now a certified B-Corp.—which means they consistently use sustainable methods and materials, and are environmentally responsible. Hello everyone! 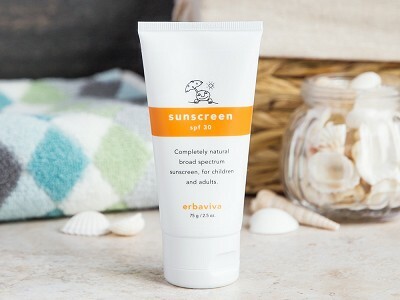 I am proud to introduce Erbaviva and our award winning Organic Deodorants to the Grommet. I would be happy to answer any questions you may have! @Karen I, too, would like to know this. I love the idea but am concerned with the effect on clothing. @Em Hi Karen, our deodorant do not stain clothing. I have worn it with a variety of fabrics and colors without experiencing this issue. We have also never received any feedback about the products staining any clothing. Hi, are the essential oils used in the deodorant pure? @Melissa All of our essential oils are pure and organic. We choose the finest oils, sourced from around the world. We are always seeking the best crops year round. I am a huge fan of our essential oils and blends. Any pine oil? I can get hives from this wonderful but allergy inducing ingredient. There is no pine oil so you should be hive-free, B! Does it stain clothing, This would be very important to know. Also does it stop you from sweating as much? I've never used organic before. @Tonya Remember that sweating is healthy and very necessary, which is why antiperspirants are so dangerous. They clog the underarm pores with chemicals. Our deodorant is 100% organic and safe. It does not completely stop you from sweating, it does however slow down the process due to the sage oil. Lemon oil is also known to help slow the sweat process. 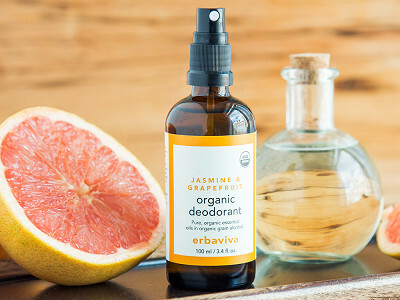 Once you begin using organic deodorant, you realize that you are detoxing and purging. After a week your body begins to adjust to the essential oils. It is one of the best and healthiest decisions you can make for your body. You made need to re-apply throughout the day in the summer and hotter months. I hope that helps! If I would use your deodorant but on a very important night out go back to the standard deodorant, would switching back to your deodorant have an effect on it's abilities to block sweating. In other words you'd want to guarantee not sweating on your clothing. Hi Linda, I don't think it would have a negative effect. It would almost be like switching to Erbaviva when you first get it after using your standard deodorant. Wondering if it burns after shaving? @Laura Great question! Since the base is alcohol, yes it may sting after shaving. We recommend to not use immediately after shaving. There will be a warming sensation that will dissipate, but use with caution after shaving. This looks like it is mostly for women, am I wrong?? Hi Blake, I think it is for anyone looking for all-natural body care products who would like a citrus scent. @blake These products are completely unisex. It really all depends on personal preference to aromas. Some women prefer the Lemon Sage, though it has a muskier scent since it contains patchouli. 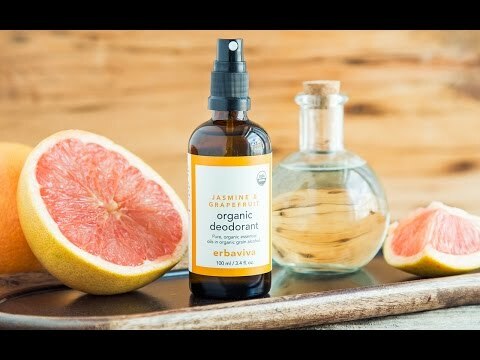 The Jasmine Grapefruit is stronger on the citrus side (grapefruit oil, lemon oil, and orange oil) with a touch of jasmine oil. Anyone can use these easy to use and great smelling 100% organic products. Hi Jules, you can check the cost by going through the first few steps of the checkout process. You get free shipping on orders over $50.